The What: Evolute, creator of scalable cloud migration and container technology, debuted its software platform for enterprises. 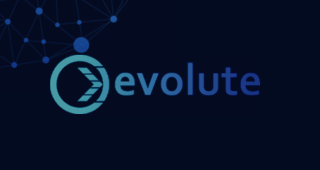 Evolute is designed to enable large IT departments to quickly and reliably migrate and run software applications between computing environments up to 10 times faster than virtualization solutions, at a fraction of the cost, improving how companies do business. Evolute also announced it was chosen to join Chevron Technology Ventures’ Catalyst Program, which is designed to support early-stage technology companies innovating in smart oil fields, advanced materials and other core software and systems technology. The What Else: Due to the rise in the complexity of applications, processing, and network interface issues, virtualization has proven to be costly and time intensive, limiting the portability of applications between various clouds within an IT organization. As a result, enterprises are turning to the container industry in record numbers, with analyst estimates reaching up to $2.7 billion in market size by 2020. Evolute’s container platform can rapidly scale, minimizing the complexity and cost of cloud and virtualization technology. By shortening implementation and leveraging its speed, Evolute reduces organizational downtime and enables enterprises to achieve new capabilities in their infrastructure. This allows enterprises to recover time spent performing maintenance to achieve continuous operations measured at up to $1 million per hour in savings. The Bottom Line: Evolute enables Fortune 500 companies in the high tech, banking and energy industries to innovate in their cloud and edge environments. With this focus, the Evolute team is partnering with leading technology providers and customers to optimize how enterprises use container technology and improve business efficiency.